PROVIDENCE, RI – As part of his effort to update Rhode Island’s State Plan on Alzheimer’s, Lt. 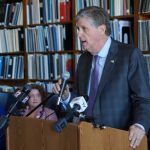 Governor Dan McKee is launching a series of Town Hall meetings across the state to collect input from Rhode Islanders whose lives have been impacted by the disease. In February, Lt. Governor McKee and the Rhode Island Chapter of the Alzheimer’s Association secured $30,000 in grants to update the State Plan, a comprehensive blueprint for how Rhode Island will address the growing Alzheimer’s crisis. 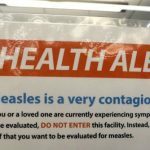 Tufts Health Plan Foundation and the Rhode Island Foundation each pledged $15,000 to support the initiative. The grants allowed the Lt. Governor’s Office and the Alzheimer’s Association to partner with Splaine Consulting, a nationally-recognized research firm specializing in public health policy. Splaine has extensive knowledge of the national Alzheimer’s landscape and firsthand experience in crafting state plans across the country. Lt. Governor McKee tasked Splaine with creating an updated plan that explores the current impact of Alzheimer’s disease in Rhode Island and outlines what steps the state must take to improve its services for people with Alzheimer’s and their families. “As my office relaunches Rhode Island’s coordinated effort to fight Alzheimer’s and provide patients with the highest level of support and care, I want to ensure that Rhode Islanders whose lives have been impacted by Alzheimer’s have a hand in crafting a plan to address the disease,” said Lt. Governor McKee. For a complete schedule of town hall meetings visit ltgov.ri.gov/alz or call (401) 222-2371. Rhode Islanders who are unable to attend a town hall meeting can complete a brief online survey: bit.ly/2Ofx5q6. The survey is also available in Spanish: bit.ly/2LiMbgx.